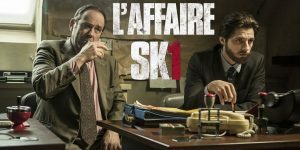 L’Affaire SK1, known in the US as Serial Killer 1, is a 2014 French thriller drama film directed by Frédéric Tellier. An investigation by a young inspector who quickly becomes obsessed with stopping a monster. The film chronicles the hunt and trial of a 1990s serial killer, dubbed “The Beast of the Bastille”.